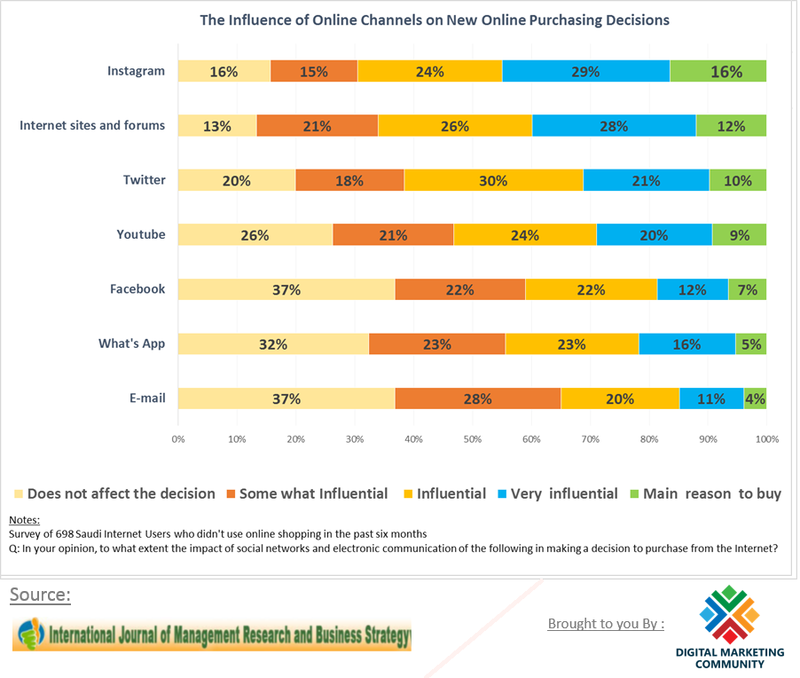 Instagram is having the most influence encouraging internet users in Saudi Arabia to purchase online. Followed by other websites and forums followed by other social media. While email is having the least influence.